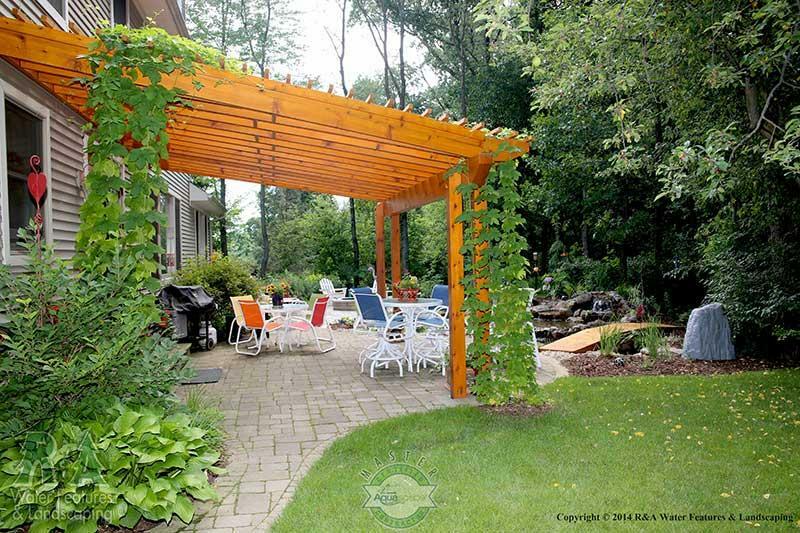 A shade structure can make your outdoor life in Grand Rapids more enjoyable & comfortable during the hot summer days. There's some people out there that enjoy baking in the sun, but the vast majority of us like to enjoy the outdoors in a bit of shade. But not all shade structures are equal. Umbrellas will need adjusting based on the suns location and a freestanding structure like a gazebo, may be not be in an ideal location. 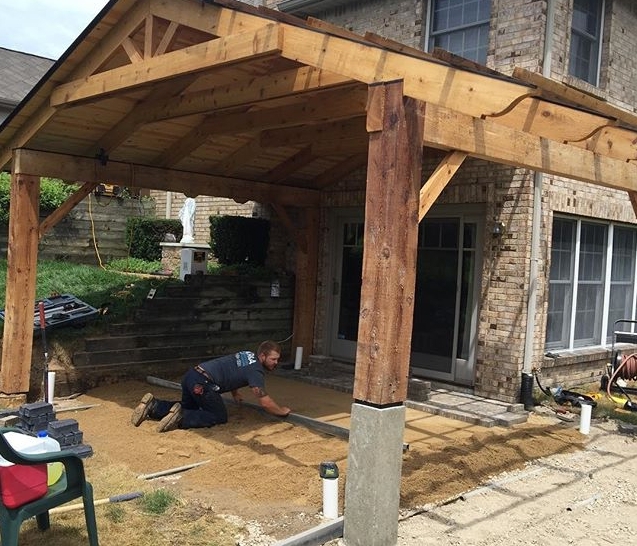 So to help you out, here is a short list of our top 3 favorite shade structures for your Grand Rapids home. Pergolas An obvious favorite, and very popular choice are pergolas. They can be attached to a home or they can be freestanding. While a pergola itself does not provide a ton of shading, they are very open allowing breeze to freely pass through. The great thing about pergolas is that trailing vines can be trained to climb up and through the open framework, providing more shade (and a beautiful look) over time. If plants aren't your thing, there are pergola shade covers, which act kind of like curtains or awnings. Some pergola shade covers are retractable, letting you control the amount of shade or sunlight. Shade Sails You don't often see many shade sails or other tensioned shade structure. But they are raising in popularity. Shade sails allow adjusting of the height and angle of the sails to adapt to the angle of the sun; you control the amount of light getting in providing more or less shade as you like. The sails are attached to one main post, which has rock solid footings. Because of this shade sails are considered permanent, which may be ideal for your location. Patio Covers - Patio covers, also called deck covers or porches, are attached to the home, creating an extension of your indoor space in many instances. Since the shade from a patio cover is consistent, that shade will help to cool the adjoining interior room. The roofs of these patio covers may be made to match the rest of the roof on the home, from lattice, slats (like a pergola), and some are made of cloth. When choosing a material for a patio cover, keep the value your adding to your home in mind. A shade structure can make your outdoor life in Grand Rapids more enjoyable and comfortable during the hot summer days. There are some people out there who enjoy baking in the sun, but the vast majority of us like to enjoy the outdoors in a bit of shade. But not all shade structures are equal. Umbrellas will need adjusting based on the suns location and a freestanding structure like a gazebo may be not be in an ideal location. 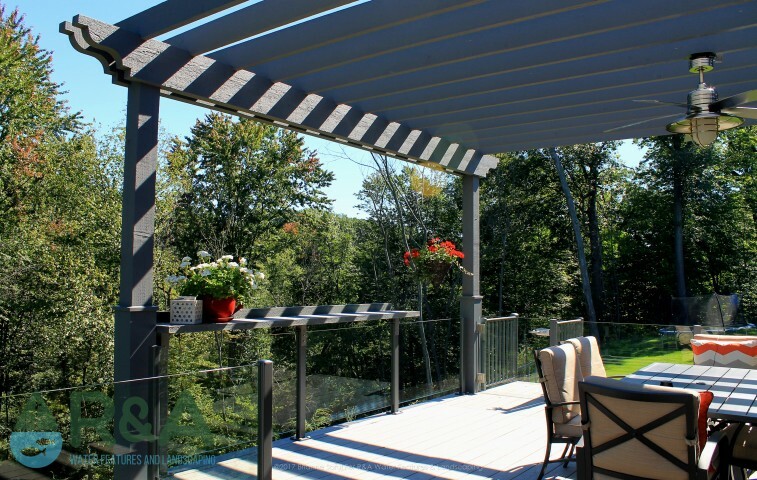 So to help you out, here is a short list of our top 3 favorite shade structures for your Grand Rapids home. Pergolas</font color> An obvious favorite and very popular choice are pergolas. They can be attached to a home or be freestanding. While a pergola itself does not provide a ton of shading, they are very open, allowing a breeze to freely pass through. The great thing about pergolas is trailing vines can be trained to climb up and through the open framework, providing more shade (and a beautiful look) over time. If plants aren’t your thing, there are pergola shade covers which act kind of like curtains or awnings. Some pergola shade covers are retractable, letting you control the amount of shade or sunlight. Shade Sails</font color> You don’t often see many shade sails or other tensioned shade structure. But they are rising in popularity. Shade sails allow adjusting of height and angle of the sails to adapt to the angle of the sun; you control the amount of light getting in providing more or less shade as you like. The sails are attached to one main post, which has rock solid footings. Because of this, shade sails are considered permanent, which may be ideal for your location. Patio Covers</font color> – Patio covers, also called deck covers or porches, are attached to the home, creating an extension of your indoor space. Since the shade from a patio cover is consistent, that shade will help to cool the adjoining interior room. The roofs of these patio covers may be made to match the rest of the roof on the home, from the lattice, slats (like a pergola), and some are made of cloth. When choosing a material for a patio cover, keep the value your adding to your home in mind.